matter is fabrizio matrone from bologna / italy who has releases on international labels like kvitnu, subsidence, black chrysalis archive, le petit machiniste, and soviet media kontrol. fabrizio started recording and performing live in 2001 and has an ever-increasing fanbase, playing at several festivals all over europe. in contrast to his drone-oriented heidseck project, matter is focused on industrial electronics, rhythmic walls and deep, dirty analogue soundscapes. 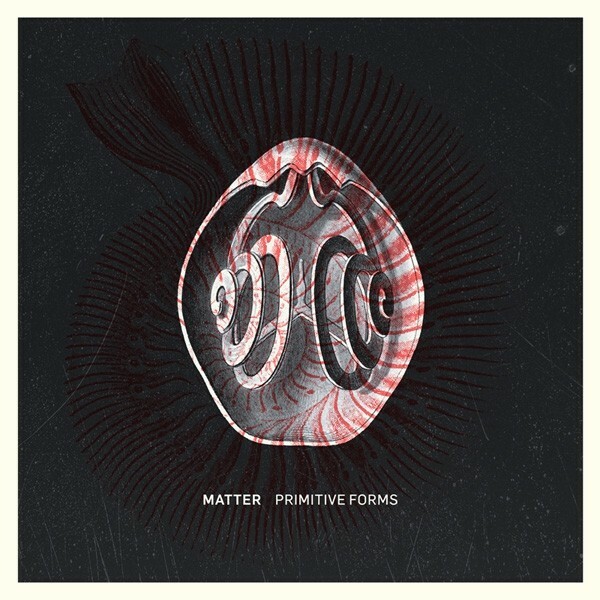 the concept of matter’s ninth full length release ‘primitive forms’ is inspired by reading an illustrated atlas of fossil distribution in southern tethys ocean. it describes the classification and evolution of fossil during the past geological ages when earth was an entirely different place to live compared with modern age and different weather conditions, morphology and atmosphere were absolutely hostile to the human race. these primitive lifeforms existed until the environmental conditions changed, and now their remains, impressions, or traces are preserved in all their essential but complex functional primitive forms. the classification, distribution and evolution of fossil are used by matter as an eponym for the ten tracks on this album which shows the full range of this project's musical skills. matter provides an unrelenting technoid hypnosis, always containing subtle changes and dots of ambiance to keep maximum tension and variety at the highest level. 'primitive forms' is a diversified, powerful mix of body music, techno and noise in which clear pulsing synth lines build the icy background for a driving rhythmic force enriched with well-structured soundscapes intended to blow your mind. a deep, epic opus, congenial to move and to think. while you dance, imagine a distant future where a lot of highly developed objects, buildings or organisms will be considered as 'primitive forms' - we never know if it even might be ourselves.